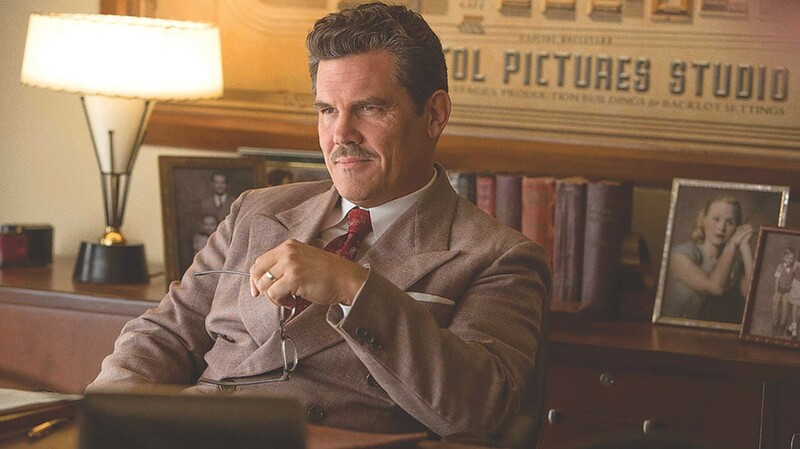 Josh Brolin in "Hail, Caesar!" The Hollywood farce is the latest film from Joel and Ethan Coen. Imagining an alternate history of the Golden Age of Hollywood, Joel and Ethan Coen's latest cinematic treasure, "Hail, Caesar!" observes a day in the life of studio "fixer" Eddie Mannix. Though Mannix was a real executive for MGM during the 1950's, the Coens offer a fictionalized version of his life. Set in the studio era, the film takes place at a time when Hollywood suits essentially owned their stars, carefully managing and molding their performers' personas to suit the public's appetites for glitz and glamour. Mannix's official title is "head of physical production" for Capitol Pictures (the same studio that employed the Coen brothers character Barton Fink), though his actual job is to keep things running smoothly, preventing any potential scandals from spreading outside of the studio's guarded gates. "Hail, Caesar!" pokes fun at Hollywood as much as it honors it, but it's first and foremost a celebration of the old movie magic -- though anyone without an appreciation for this specific era of filmmaking may be left scratching their heads. As played by Josh Brolin, Mannix is a brutish man with a good heart. He's more than willing to smack those stars around if he thinks it will help knock some sense into them, but he's conflicted about it. When we catch up with Mannix, he's having a crisis of faith, both in his religion as a devout Catholic, and in his career, where he finds himself losing sight of the value in such a frivolous business. He's also fielding a lucrative job offer from the Lockheed aviation company, and it's one of the film's best underlying jokes that a job within the military industrial complex sounds appealing to Mannix for the relative relaxation and stress-free life it would offer. As Mannix hops from set to set putting out fires, his visits to the studio's soundstages provide the Coens with an excuse to stage elaborate film recreations, from water ballets to cheesy westerns and sailor musicals, changing aspect ratios and shuffling through various genres with obvious glee; "Hail, Caesar!" is a cinephile heaven. 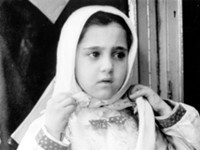 The title picture, a biblical epic whose full title is "Hail, Caesar: A Story of the Christ," is the focus of the extremely loose plot, which involves the kidnapping of the film's star, Baird Whitlock (an amiably doltish George Clooney), by a mysterious group who call themselves "The Future." The film's trailers emphasized this plot, advertising a madcap caper in the vein of a Hollywood-set "Ocean's 11," but this line is entirely secondary. Aside from Brolin and Clooney, the film is chock full of performers clearly having the time of their lives: Scarlett Johansson appears as a not-so-sweet Esther Williams-esque starlet; Channing Tatum in Gene Kelly mode for an extended song-and-dance number; Frances McDormand as a no-nonsense editor who demonstrates the dangers of working with a Moviola; Ralph Fiennes as a frustrated director; and Tilda Swinton in a dual role as Hedda Hopper-like rival gossip columnists who just happen to be twin sisters. But it's Alden Ehrenreich who walks off with the movie as Hobie Doyle, the drawling young star of goofy westerns who's been tapped by the studio to transition into more serious dramatic roles. Ehrenreich caught my attention back in 2013 with a small role in the great gothic thriller, "Stoker," and the lead in the not-so-great supernatural "Beautiful Creatures," and it's about time someone capitalized on his talents. Beautifully shot by the masterful Roger Deakins, it's a joy to see Hollywood Golden Age filtered through his impeccably composed lens. Occasionally the computer-assisted special effects distract from the overall retro design of the film, and I couldn't help wishing the filmmakers had kept to period-appropriate methods to achieve them. "Hail Caesar!" is a trifle: it doesn't add up to much, but it's always a joy to watch -- particularly in the standalone film sequences. There's an exuberance to these scenes that's somewhat lacking in the story the Coens have cobbled together to support them, though as with many of the Coen's films, I suspect the disjointedness will improve with repeat viewings. Mannix's doubts about career and religion call to mind the existential angst and ennui that powered "Inside Llewyn Davis" and "A Serious Man" (Mannix often seems like a Catholic counterpoint to that film's Job-like Jewish protagonist). Faith has always been a subject that preoccupies the brothers, and Eddie Mannix is another in a long line of Coen heroes whose earnest search for meaning in an absurd and indifferent world only leads to trouble. But with "Hail, Caesar!" the brothers suggest that the best place to conclude that search is often at the movies.